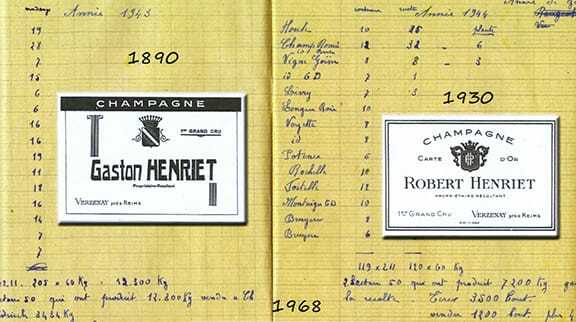 Champagne Henriet-Bazin traces its origins to two families with deep roots in the Montagne de Reims. The Bazin family came from the village of Verzenay where they cultivated vineyards and supplied grapes to some of the large houses. 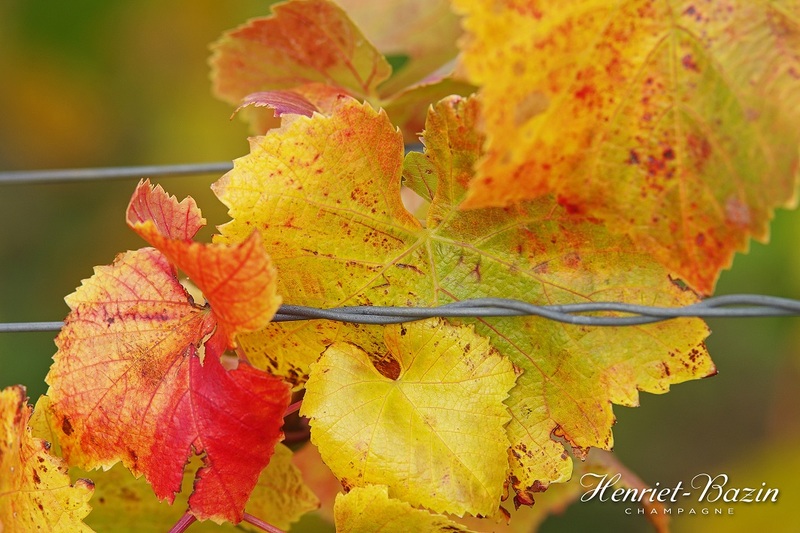 The Hen­riet family grew grapes in a neighboring village. Towards the end of the 19th century, Gaston Henriet married Eugénie Bazin and soon began making his own champagnes, a gutsy move at a time when very few independent champagne producers existed in the region. However, it was Gaston’s son Robert and his wife Huguette who really expanded the busi­ness. They would travel the country and show their bubbly at fairs and markets, first in the local area, then outside of Champagne. They soon built up sales to 35,000 bottles—quite an achievement for a husband and wife team in those days! In 1968, the family moved to the village of Villers-Marmery. Since the beginning of the millennium, the firm has been run by Marie-Noëlle Henriet-Rainon (the 5th generation) and her husband Nicolas Rainon. They recently moved into a new house up the road from Robert and Huguette, and also expanded the winery. Production is approximately 80,000 bottles per year, of which 40% is exported. Villers-Marmery is in the eastern part of the Montagne de Reims. Its 243 hectares (600 acres) of vines are exposed east in contrast to most other vineyards in the region; it is also the only village planted with mostly Chardonnay (98%) in an otherwise ocean of Pinot Noir. The chalk is very close to the surface and has a huge influence on the wines—something that helps make it one of only four villages in the Montagne de Reims that is Premier Cru for Chardonnay and not Premier Cru for the region’s predominant Pinot Noir. The Henriet-Bazin domaine totals just over 6 hectares (14.88 acres) divided into 36 plots over 3 villages (Villers-Marmery, Verzy and Verzenay). 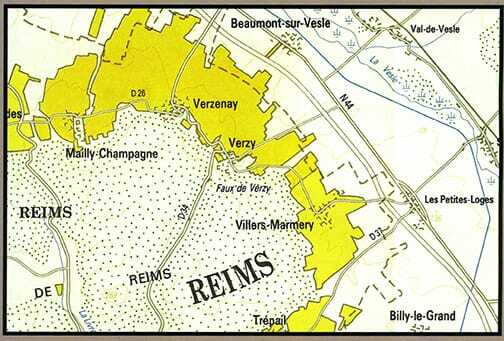 They own 20 plots in Villers-Marmery (2.72 hectares or 6.72 acres) planted solely with Chardonnay. Here the soil is mostly composed of gravel of chalk rather than silt and clay, offering chardonnay that is both floral and mineraled. To the northwest, Verzenay is nestled at the bottom of the slope and offers 1,025 acres of vines classified as Grand Cru. Exposed north­east and north and east, their ten plots of 2.4 hectares (5.86 acres) are planted with 80% Pinot Noir and 20% Chardonnay. The white and soft chalk, just below the surface, is covered by silt, flint and chalk gravel. This soil helps produce wines that are solid, opulent and spicy. Henriet-Bazin also farm 7 plots containing just under 1 hectare (2.30 acres) of vines is Verzy, a town nestled in a valley below Villers-Marmery. Located at the edge of the forest, the village contains 406 hectares (1,003 acres) of vines sitting on a mix of chalk and gravel, with some stones and silt on the eastern slopes. Classified Grand Cru, Verzy is planted mostly with Pinot Noir. The wines tend to be elegant and fruity, with a particular floral trait. 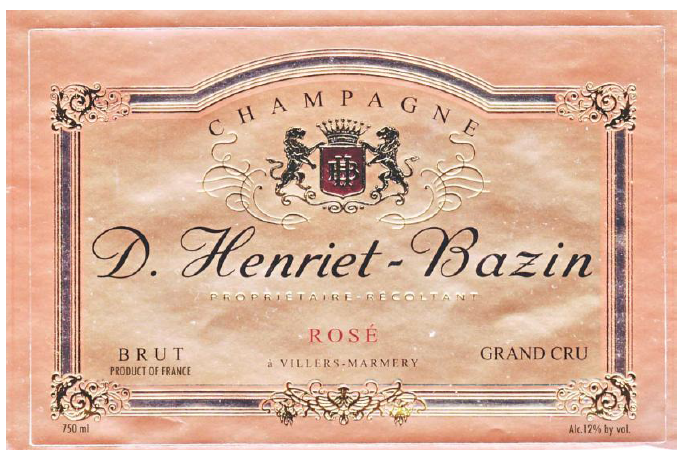 Champagne Henriet Bazin Rosé Grand Cru: Made from 50% Chardonnay and 50% Pinot Noir, all from Verzy and Verzenay, both Grand Cru villages. The vines were planted between 1969 and 2006. The soil is chalky with outcrops of silt and gravel. This rosé is made with the addition of 20% still Pinot Noir from Verzenay vinified by the family. Base wine for this bottling is 70% from 2010. The reserve wine is a solera including wines from 1968 to 2009 (30%). Annual production averages just over 10,000 bottles. The grapes are crushed in a 4,000 kilo capacity Bücher wine press. The must is cold settled then aged in enamel-lined tanks. 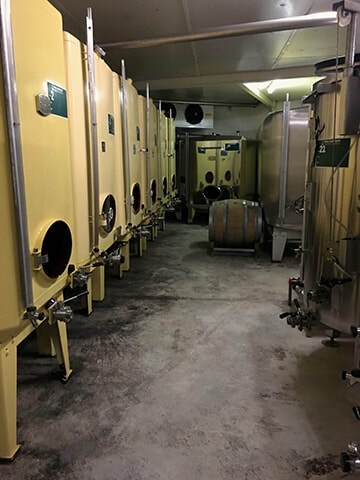 The wines go through 100% malolactic fermentation. The champagne was bottled in April 2011 and spent 3. years en tirage before being disgorged. Dosage is 7 grams per liter. Tasting notes: Aromas include cher­ry, blackcurrant, toasted bread and raspberry. Further aeration offers licorice, black pep­per, and clove. On the palate, some underly­ing citrus and chalk notes surface above its creamy texture. Josh Reynolds, International Wine Cellar : “Lively, mineral-tinged red ber­ries and tangerine on the fragrant nose. Taut, focused and pure, offering bitter blood orange and pear skin flavors and a hint of buttery bri­oche. The mineral quality comes back strong on the finish, which shows impressive energy and thrust. 91 points. 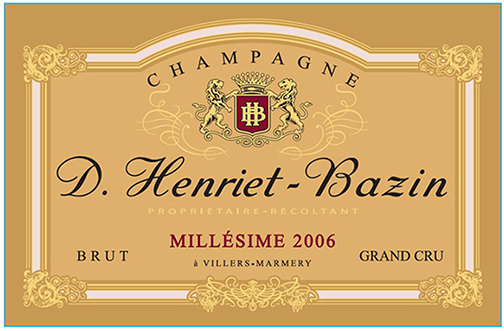 Champagne Henriet Bazin 2008: This Grand Cru vintage comes from the villages of Verzenay and Verzy. Expo­sure is north, east and northeast. The chalk soils also combine silt and gravel. The parcels were planted between 1963 and 1983. The blend is 70% Pinot Noir and 30% Chardon­nay, all coming from 2008. Aged in enamel-lined tanks with no malolactic fermentation, this champagne was laid down in March 2009 and spent 7 years en tirage before being disgorged in January 2015 with a dosage of 8 grams per liter. Its pale yellow hue has golden highlights. Tasting notes: The nose shows notes of cookies and caramelized apples. Further aromas include almond and io­dine, along with spice (cinnamon, caraway), peach, cream and chalk. While full-bodied, it is also light on its feet, and the finish is both mineraled and long. Champagne Henriet Bazin Blancs de Noirs Grand Cru This small RM is located in Villers-Marmery, a small town in the Montagne de Reims, oddly known as a chardonnay enclave in a sea of pinot noir. While they do make some excellent blanc de blancs, it is their pinot noir that we are especially attracted to. The Blanc de Noirs is also grand cru, coming from Verzeney and Verzy. A blend of 2011 and 2010, this has spent two and a half years en tirage.